What's not to love about saving money? Even if you're not a lover of the Halloween concept (yes, we know you're out there! 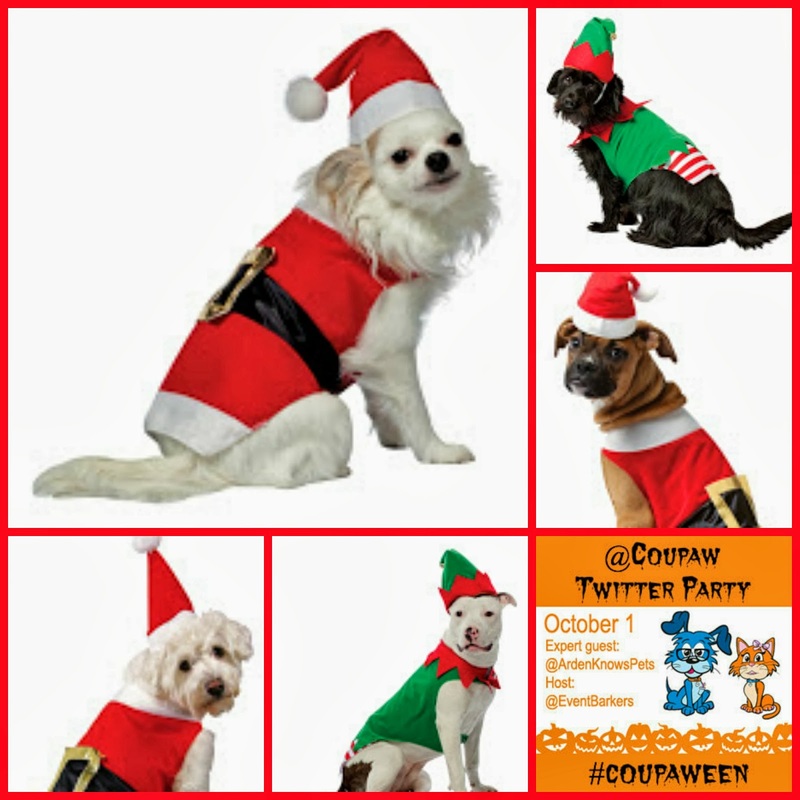 ), many of you may enjoy getting your pup into the holiday spirit a little later in the year. Coupaw has your ticket with Santa and elf costumes coming shortly. You've gotta love these precious pups! Start by visiting Coupaw to sign up for their daily deals. 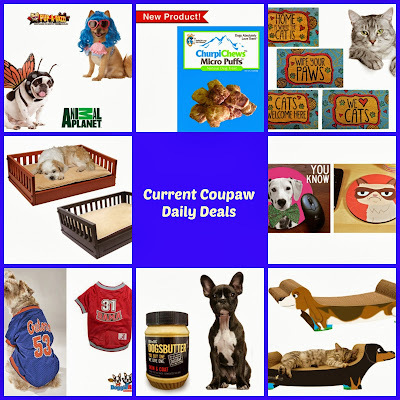 This is a must; it's how you'll find out what each day's new deals are! 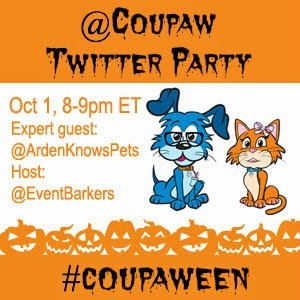 Now RSVP to join us at #Coupaween Twitter Party and be sure to mark your calendar so you don't forget to show up. Ooops! Can't make it? No worries. You're still eligible to win in the 3 pre-party events. Check the list below, and enter right now! The #Coupaween prizes are for U.S. addresses only. Thanks for your understanding. Check out more of the upcoming Halloween items on our #Coupaween Pinterest board. Watch for a custom pet portrait to be a part of our Grand Prize! Be sure to stick around till the end of the party! Through our Event Barkers partnership with DogTipper.com, we are helping to promote Coupaw's daily deals and show off their Halloween costume collection.